Greetings! My name is Christopher Coleman, and I would like to welcome you to my website. Currently, it is structured to serve as an online portfolio in partial fulfillment of the requirements of the Doctor of Philosophy in Learning Technologies at the University of North Texas. 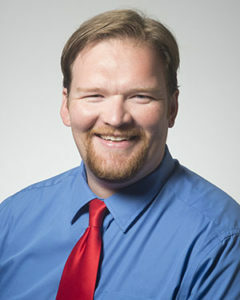 Professionally, I serve as an information and instructional technology coordinator at Louisiana Tech University in Ruston, Louisiana. I have worked in this capacity for many years, with various shifts in responsibility throughout. Initially, I provided technical support for students and faculty in the College of Education. Today, I share responsibility for a number of technology administration issues at the university that include the management of about a dozen systems, including our Moodle LMS. My academic background is in Computer Science and Information Systems. I received my B.S in Computer Science at Louisiana Tech University in Ruston, Louisiana and my M.S. in Information Security and Assurance from Norwich University. My passion is combining these areas with Learning Technologies to improve the use of technology in higher education and to improve the quality and availability of cyber-skills training and education. Some people start knowing that they want a Ph.D. Others discover that they want one through time and experience. I fell into the latter category. After finishing my undergraduate education in 2007 at Louisiana Tech University, more time as a student was not something I wanted nor did it align with my professional goals. Life, however, had other plans as I found work in higher education, again at Louisiana Tech. By 2013, I knew that I needed to advance my education to be competitive at a public research university, and I resumed my formal education in the growing area of cybersecurity. It was during this time that I came to see security as both a technological and a human problem. The latter is best addressed through training and this, along with my professional background, made Learning Technologies a natural fit. In the Summer of 2015, I joined the Learning Technologies Doctoral program. In what follows, this portfolio will demonstrate growth in four areas related to the program objectives. Remaining current is important in doctoral-level work. To this end, I remain engaged in numerous professional development activities. I have generally tried to attend at least one professional conference each year, most of them being introduced to me by the Learning Technologies program. Organizations such as AACE, AECT, ISTE, and EDUCAUSE also offer other opportunities through the year such as webinars and mailing list discussions with which I try to engage regularly to complement and extend the knowledge I have gained from this program. This is not, however, the end of my professional development. I continue to read and stay current in areas related to the information technology side of my work. Most recently, I completed certification related to IT service management (ITIL Foundation), and plan to complete other certifications after graduation. Meanwhile, I pursue relevant formal learning opportunities in areas of interest such as the Copyright X course offered by the Berkman Kline Center for Internet and Society at Harvard and a graduate certificate at Louisiana Tech in Higher Education Administration. This is perhaps the area in which I have grown the most. I readily confess that I am an introvert, and before admission to the program I had never attended a single professional conference. Today, I have personally presented research at several conferences and have collaborated on research presented at numerous others. I have also been involved with practical workshop sessions at the Louisiana Association of Computer Using Educators and at the Texas Computer Education Association. Though I still retain some introversion, an increased willingness to engage with others professionally represents a positive change for me accomplished through this program. Though the program objectives treat knowledge synthesis, creation, and communication as separate, I believe that they are interrelated. Knowledge synthesis relates to the ability to take extant knowledge and make new or unique connections within it. Knowledge creation relates to the processes by which those connections made through synthesis are tested and evaluated. Meanwhile, the knowledge that is synthesized and created must be communicated through scientific discourse. My history in this program suggests that I am capable of performing each of these tasks. I have, on numerous occasions, written papers that synthesize and test knowledge. Some of these papers are class projects that remain unpublished (for now), pending refinement. Others, are awaiting journal decisions or have been submitted and accepted by regional, national, and international conferences. Each stands as evidence of my continually-improving ability to synthesize, create, and communicate knowledge within the profession. Throughout the program, we have been routinely tasked with examining, analyzing, and critiquing arguments, and research designs. Such analysis is not only inherent in the typical scholarly activities of peer review and publication, but is built into course experiences as well. This semester alone, has presented numerous opportunities to engage in critical and reflective thought. In LTEC 6220, we were tasked to engage in peer review of the research designs other classmates. Meanwhile, in LTEC 6800, we have been engaged in peer review of cohort-mates’ dissertation proposals and portfolios. I cannot say that my feedback is always perfect, but I always attempt to ensure that it is relevant, thoughtful, and constructive. The time spent in critical thought in this program has prepared me well for engaging in critical thought elsewhere. I excelled in critical, legal analysis as part of completing Harvard’s Copyright X course as well as in the academic rigors of Louisiana Tech’s Higher Education Administration certificate program (consisting of doctoral-level coursework), which included the critique of research articles and dissertations. When I began the Learning Technologies Ph.D. program, my goal was to fill in much of the background in education and social science research that I lacked. This program has succeeded in addressing that knowledge gap, and has provided me a greater understanding of instructional processes and their relationship with technology. What I will do with this remains to be seen. I remain somewhat entrenched in information technology practice, and a future as a senior-IT leader in higher education is appealing to me. At the same time, I believe I also need the experience of being an instructor to adequately manage the instructional experience as an administrator, so some role as an instructor is planned for the future. Moreover, I have not ruled out the professorate as a possibility. I remain interested in the relationship of information security to learning, both in terms of how learning can address insider threats and how information security and/or privacy concerns can influence electronic learning (a potential line of inquiry for my dissertation). Meanwhile, my interests have broadened to include understanding how learning can be more engaging and more effective, how to manage learning technologies at an institutional level, how to provide training in the use of learning technologies, and how learning technologies can improve institutional awareness and decision-making – particularly through data analytics. Moreover, I have become more aware and interested in issues of equity and accessibility. 2016. CopyrightX. Berkman Kline Center for Internet and Society/Harvard Law School. Regularly work with University stakeholders to identify strategic campus objectives, identify and mitigate risks, and create/revise/review University IT-related policies and procedures. Work as a key member of the instructional technology administration team, supporting and managing instructional services such as Moodle LMS, Turnitin, and Mediasite lecture capture system. Worked with colleagues to deploy virtualized computing environment based on vWorkspace, increasing endpoint security and lowering support cost. Responsible for procurement, support, and management of all University-owned Apple devices. Write grants and seek funding, both internal and external, for information and instructional technology enhancements. Manage loss-prevention and recovery program and other security activities using Absolute DDS. Administrate HIPAA data systems at the Psychological Services Clinic, a training clinic for counseling psychology doctoral students. This includes upgrades to clinic IT services and data systems: migrated from QuicDoc to Titanium Schedule, implementing intranet-based IP camera system, transition to thin-clients, and on-going updates to security-related policies and procedures. Supervise/mentor tier one support agents/ student workers as needed. Developed the UTeachTech brand, including logos and wordmarks. Developed initial marketing materials, including a preliminary website for the program launch, printed materials for the launch that included custom invitations to faculty and community stakeholders, a program brochure, and a billboard to coincide with the launch event. Regularly participated with University-level IT committee(s) to identify strategic campus objectives, identify and mitigate risks, and create/revise/review University IT-related policies and procedures. Worked with University administrators to facilitate fiber infrastructure upgrade that expanded network capacity (from 100 Mbps to 10 Gbps), resolving problems with bandwidth limitations and providing headroom for future traffic growth. Worked with University Computing Center to upgrade WiFi systems from legacy 802.11abg to 802.11ac, while increasing coverage density to meet current and future wireless demands. Managed a five-year plan to modernize in-classroom instructional technology throughout the College of Education. Conceptualized, designed, and managed the project that transformed a traditional computer lab into a BYOD active-learning/ collaborative space that has become the College of Education’s ThinkTank. Coordinated deployment of Active Directory in the College of Education, providing for policy-based endpoint management and mandatory user authentication on all systems that has reduced the rate of major malware/virus infection. Worked with College and University stakeholders on two redesigns of the College website (2008 and 2013), and helped create the College’s initial social media presence. Developed numerous printed marketing products. Act as primary technical coordinator for computer-based Louisiana Educational Assessment Program (LEAP) testing at A.E. Phillips Laboratory School (K-8). Wrote proposals for and managed over $500,000 in special project funding for instructional technology upgrades. Provided training for new instructional technology. Supervised and mentored student workers as necessary. 2010: Dean’s Commendation for Outstanding Service to NCATE Continuing Accreditation. Coleman, C.D. & Reeder, E. (2018). Three Reasons for Improving Cybersecurity Instruction and Practice in Schools. In E. Langran & J. Borup (Eds. ), Proceedings of Society for Information Technology & Teacher Education International Conference (pp. 968-973). 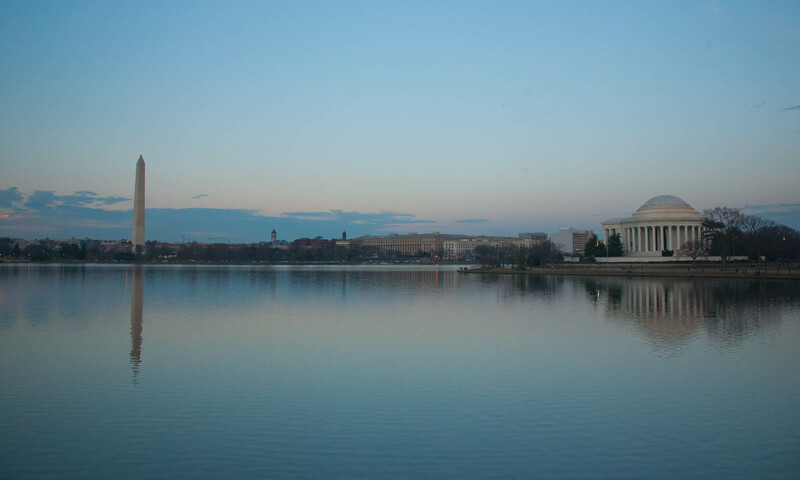 Washington, D.C., United States: Association for the Advancement of Computing in Education (AACE). Retrieved from https://www.learntechlib.org/p/182648/. Coleman, C.D. (2017). An exploratory analysis of WCAG 2.0 conformance in higher education websites. In P. Resta & S. Smith (Eds. ), Proceedings of Society for Information Technology & Teacher Education International Conference (pp. 276-280). Austin, TX, United States: Association for the Advancement of Computing in Education (AACE). Retrieved from https://www.learntechlib.org/p/177312/. Coleman, C.D. & Austin, W. (2017). MOOCs and the digital divide: Why mass online learning may not improve educational attainment for those who need it most. Paper presented at The University of North Texas 2017 Research Exchange Conference. Denton, TX: University of North Texas (UNT). Coleman, C.D. (2018). Accessibility in Learning Management Systems: A Review of Literature. Manuscript submitted for consideration, 2018 AACE EdMedia International Conference: Amsterdam, The Netherlands. Coleman, C.D. (2018). Video Recording and Feedback in Clinical Education: Effectiveness, Best Practices, and Operational Concerns. Manuscript accepted for presentation/publication, 2018 AACE EdMedia International Conference: Amsterdam, The Netherlands. Not presented, resubmitted to International Journal on E-Learning. Wagner, J., Reeder, E., & Coleman, C.D. (2018). Effect of professional development on instructor self-efficacy in a LMS and its relationship to teaching and learning. Manuscript submitted for consideration, 2018 AACE SITE International Conference. Livingston, M.M., Coleman, C.D., Boyraz, B., & Hindman, M.L. (2017, March). A qualitative investigation of concerns regarding types of online distance counseling. Poster session presented at the 2017 American Counseling Association (ACA) Conference and Exposition, San Francisco, California, USA. Livingston, M.M., Hindman, M., & Coleman, C.D. (2016, April 2). Willingness to participate in online counseling and computer security concerns. Poster presented at the 2016 American Counseling Association (ACA) Conference and Exposition, Montréal, QC, Canada. Ware, S., Steiner, R., Boudreaux, K., & Coleman, C.D. (2018, February 6) Reinventing learning for the always-on generation. Presented at the Texas Computer Education Association (TCEA) 2018 Convention and Exposition, Austin, TX. Livingston, M.M., Boyraz, G., Coleman, C.D., & Hindman, M.L. (2016 August). Self-stigma in face-to-face and online counseling: demographic differences. Poster session presented at the 2016 American Psychological Association (APA) annual conference, Denver, Colorado, USA. Livingston, M.M., Coleman, C.D., Boyraz, G., Hindman, M., & Tobacyk, J. (2016, April 1). Self stigma towards counseling: Internet online and office settings. Poster presented at the 2016 Southeastern Psychological Association (SEPA) annual conference, New Orleans, Louisiana, USA. Coleman, C.D. (2015, December 9). Building a technology enhanced active learning classroom – lessons learned. Presented at the Louisiana Association of Computer Using Educators (LaCUE) 2015 Conference, New Orleans, LA. Coleman, C.D. & Livingston, M.M., (2015, June 12). Relationship between HEXACO personality factors and the endorsement of information security behaviors. Poster presented at the annual meeting of the Louisiana Psychological Association (LPA), Metairie, LA, USA. Coleman, C.D. Remote printing system expansion. 2017 – 18 Louisiana Tech University Student Technology Fee Board Grant. Funded at $30,785. Coleman, C.D. Campus security video integration and expansion. 2017 – 18 Louisiana Tech University Student Technology Fee Board Grant. Funded at $58,622. Coleman, C.D. & Lantz, M. Technology enhancements for the Psychological Services Clinic. 2016 – 17 Louisiana Tech University Student Technology Fee Board Grant. Funded at $46,751. Coleman, C.D. Enhancements for Research and Student Technology in the Department of Kinesiology. 2016 – 17 Louisiana Tech University Student Technology Fee Board Grant. Funded at $17,178. Coleman, C.D. Virtual Desktop Environment Supporting Student Research. 2015 – 16 Louisiana Tech University Student Technology Fee Board Grant. Funded at $3,510. Coleman, C.D. Kinesiology Instructional Enhancement. 2015 – 2016 Louisiana Tech University Student Technology Fee Board Grant. Funded at $85,970. Coleman, C.D. Creating a Student Resource, Research, and Collaboration Center for the College of Education. 2014 – 2015 Louisiana Tech University Student Technology Fee Board Grant. Funded at $50,532. Coleman, C.D. & Schillinger, D. College of Education Classroom Technology Enhancement. 2013 – 2014 Louisiana Tech University Student Technology Fee Board Grant. Funded at $70,875. Coleman, C.D. & Schillinger, D. College of Education Classroom Technology Enhancement. 2012 – 2013 Louisiana Tech University Student Technology Fee Board Grant. Funded at $43,915. Coleman, C.D. & Schillinger, D., College of Education Classroom Technology Enhancement. 2011 – 2012 Louisiana Tech University Student Technology Fee Board Grant. Funded at $64,602. The ThinkTank is a technology-enhanced active-learning (TEAL) environment in the Louisiana Tech University College of Education inspired by the SCALE-UP and TEAL classrooms originating at North Carolina State University and the Massachusetts Institute of Technology. The concept at Louisiana Tech innovates on this concept by providing each group pod with a multi-user, multi-touch display that can facilitate interactivity not only using personal devices, but at the display itself. Moreover, the room was designed for multiple use cases and included modular furniture that can be rearranged to fit instructional needs. Originally conceived as a group collaboration space, the room has come to be used heavily for STEM teacher preparation (UTeachTech) and instructional technology courses. This project was launched in response to the needs of Louisiana Tech’s Counseling Psychology Doctoral Program. American Psychological Association (APA) requirements mandate that student clinicians be supervised. In our environment video recordings have long been used to provide such supervision; however, previous systems were based on repurposed security video recorders and were difficult to use for monitoring and feedback. After looking at several alternatives, the video system was replaced with the video audio learning tool (VALT) system developed by Intelligent Video Solutions to meet the needs of clinical training environments. This system allows user-friendly recording and review of clinical sessions and supports the use of metadata to make commentary and provide feedback on recorded session. This system inspired my article on best practices in video-based supervision and feedback. 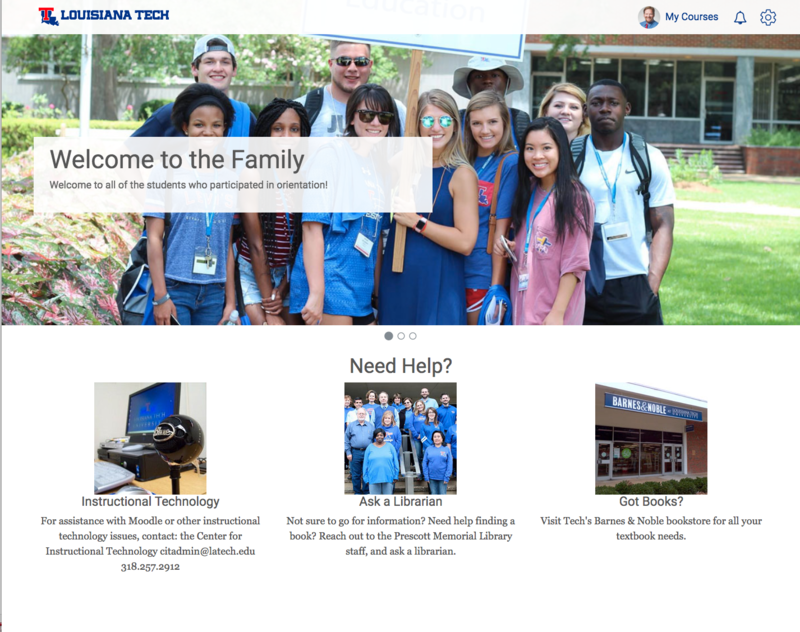 Louisiana Tech University has used the Moodlerooms-developed Express theme since transitioning from Blackboard to Moodle in 2010. With this theme at end of life, I was tasked with leadership of the initiative to migrate the campus to an updated theme. This is an ongoing, multi-faceted project drawing upon my experience in research, system administration, and instructional design. On the research side, considerable effort has been undertaken to research the usability and accessibility of candidate themes. On the instructional design side, significant effort was put into the creation of training materials for faculty, including a course introducing the new theme. This project was undertaken as an exercise in meeting two needs with one effort. The initial need arose when the Clinical Residency Research Center in the College of Education launched a first version of the site using Weebly. This site required some enhancement, so I was given the task. The redesigned site was also used a design project for CECS 5110. Though I am no longer actively involved in the maintenance of the site, it continues to be used by the CRRC as its primary website. This was undertaken as the fourth version of my personal website, specifically with the intent of converting it into a portfolio to meet the requirements of the University of North Texas Department of Learning Technologies requirements for the Doctor of Philosophy program. This particular version of the site is built on the WordPress content management system, and utilizes a customized theme. An interactive story, Monster in the Library was developed as a project for LTEC 6210. The story follows a young boy named Frankie who is tasked with helping to solve the mysterious ransacking of his school library. During the course of the story, the reader is allowed to make decisions that affect the outcome and must complete instructional tasks that promote information and library literacy.